When the weather gets cold I like to curl up with a good book and practice a little escapism. For me, this winter, that means Paris. It’s impossible not to fall in love with its open streets, lush gardens, museums and galleries, and this season I plan to immerse myself in good books which bring the City of Light to life. Set in 19th century Paris, this is the story of the van Goethem sisters, three young women who receive ballet training at the Paris Opéra in an attempt to work their way out of poverty. Feisty but naive Antoinette, the eldest, falls for the wrong man, and when fired from the ballet, finds work as an actor in a stage adaption of Émile Zola’s L’Assommoir. 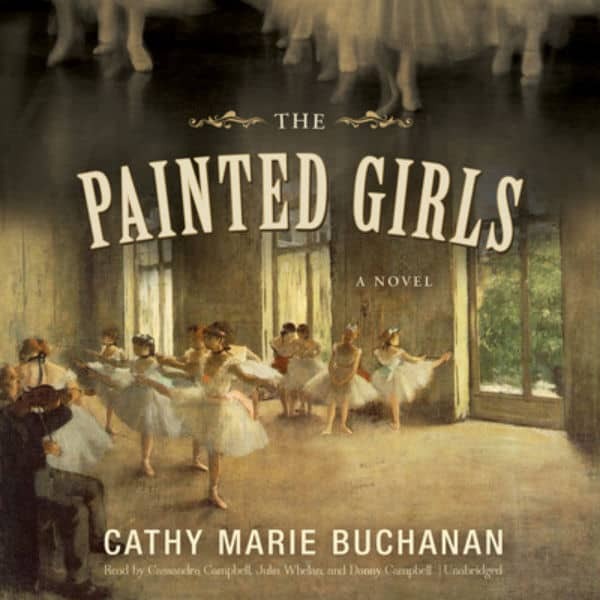 Marie, the middle child and heart of the novel, dances, and soon finds modelling work for Edgar Degas, her image later to be immortalized as “Little Dancer, Aged Fourteen.” The youngest sister is babied and frivolous, but eventually comes to earn her place. Buchanan brings to life the belle époque, particularly its seedier elements, without losing heart. Gallant is one of my favourite short story writers, and her skill rivals that of our Nobel Prize-winning Alice Munro. The selection is called Paris Stories because that’s where they were written, but they take place all over Europe. The stories are peopled by a range of characters: German soldiers, art gallery curators, men, women, of a variety of ages and from a wide range of backgrounds. Within the span of a sentence she reveals a person’s entire life history. It’s astonishing and delightful. These stories smart, sharp, and call for rereading every few years. I just started this one, and I’m really excited about it. I love Rutherford’s work. He picks a location (past books have looked at Sarum, New York, Sherwood Forest, Russia, and other locales), and writes an interconnected story of place from the beginning of human settlement to the present day. In Paris, Rutherford looks at the city from its founding roots, to the building of Notre Dame, the court at Versailles, the French Revolution, the belle époque, impressionism, and onward. He waves multigenerational stories through time, capturing the great achievements of time and place: love, war, art, in one of the most beautiful cities in the world. Nico Mara-McKay can be found online at nicomaramckay.comand on Twitter @plutopsyche. That’s a great roundup of Paris-themed books. I would love to read Mavis Gallant’s Paris Stories. I would also like to recommend John Glassco’s Memories of Montparnasse. Glassco writes about his time in Paris during the 20s with F. Scott Fitzgerald, Hemingway, Morley Callagan, etc.